Convert Video to LG Optimus, Play AVCHD and YouTube Video on LG Optimus! If you are fond of LG Optimus, then you will not miss this LG Optimus Video Converter. 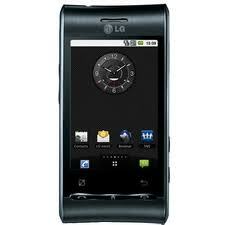 It brings you a great convenience for your enjoying various kinds of format videos on LG Optimus with excellent quality. Any Video Converter, LG Optimus Converter, is the best android phone video converter. It’s easy to convert any video files to 3GP format to be played on Motorola Triumph. Any Video Converter is a handy video converter for LG Optimus that convert movies/videos to LG Optimus playable format with ease. With this powerful video tool, you can convert HD videos, avi, mkv, vro, mpv, vp6, wmv, 3gp, flv, rmvb, mpg, mov, mp4, avchd, m2ts, mod, vob to LG Optimus playable format and enjoy videos on the go with other hot android phones and tablets like Galaxy S, Droid X, Droid 2, Motorola Xoom, Nexus S, HTC etc. How to convert videos to LG Optimus? Step1: Simply click Add Video button to import the video files from your hard drive. Batch video conversion and merging videos are supported. Step 2: Choose output profile "Mobile Phone 3GP Movie (*.3gp)" in the profile drop-down list. For better enjoying videos on LG Optimus, you can customize video and audio options, such as Video Codec, Video Bitrate, Audio Codec, Audio Bitrate, Audio Channel, Disable Audio, etc. If you prefer MP4 instead of 3GP movies, you can select "Google Android MPEG-4 Movie (*.mp4)" as output profile. With the above settings, LG Optimus can play your 3GP or MP4 videos perfectly. Step 3: Click Convert button to start converting videos for LG Optimus. Once the conversion is finished, you can click "Output Folder" button to get the output 3GP or MP4 files. Then connect your LG Optimus with computer, import output videos into it, and have fun! You may also need to rip DVD for LG Optimus. With Any DVD Converter Pro, you can easily rip DVD to 3GP video formats compatible with your LG Optimus. Any DVD Converter Pro works perfectly as it's Any Video Converter Pro plus a DVD ripper. 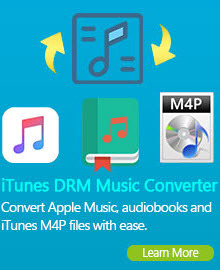 Download Any DVD Converter Pro to have a try! Downloading and converting YouTube video to LG Optimus, iPod, iPhone, PSP, Archos and many other PMPs is also available. Just with a few clicks and several seconds, LG Optimus Video Converter helps you to save the online YouTube video in MP4, AVI, WMV or many other video formats for your portable media devices. Copy and paste YouTube video URLs on the window of the converter to start downloading. This "download + convert" software offers you the easiest and fastest way to watch, download and transfer YouTube video to LG Optimus NOW! Do you want to enjoy the beautiful music on your LG Optimus, Any Video Converter could also meet your needs. With the LG Optimus Video Converter, you can extract audio from all videos as well as the video on YouTube and other online videos and save as MP3, AAC, WMA, M4A, WAVE or OGG audio files for your LG Optimus Pad and MP3 players. If you want to convert DVD to your LG Optimus, you can update Any Video Converter to Any DVD Converter Pro. Any DVD Converter is excellent DVD ripping software which can help us convert both of your NTSC and PAL DVD to 3GP for LG Optimus. Besides 3GP format, the DVD converter can rip DVD to AVI, MPEG, MKV, ASF, WMV, M2TS, XviD, FLV, RM, MP3, WMA, etc. with high quality. 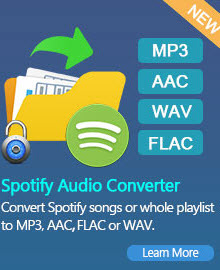 With Any DVD Converter, you have the ability to select DVD titles, chapters or segments for the ripping, instead of converting an entire movie into one huge file; copy protected DVD movies; take snapshot from playing video or DVD movie and save as PNG picture format; extract audio from DVD movies and save as MP3, AAC, WMA, M4A, WAVE or OGG audio files for your mp3 players and mobile phones. LG Optimus Video Converter software provides an easy way to combine and join multiple videos together. Just select the videos you want to join and check the “merge output” you can finish it easily. You can merge several video clips into a single video, so that you can enjoy a long video. 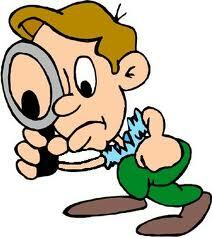 You can trim the length of any videos to get the video or audio clips you want. The LG Optimus Video Converter also allows you to crop video to adjust the suitable size of displaying screen. You may also personalize the video by tuning the video brightness, contrast, saturation or adding some effects like "Mirror Image " or "Flip Vertical", etc. If you like the current image of the video you can use the “Snapshot” option. Just click the “Snapshot” button then the image will be saved. Support batch processing with super speed and perfect quality. If you have a lot of videos to be converted, but you do not want to waste time to convert them one by one. The LG Optimus Video Converter supports batch conversion. It is very easy to use. With just a few clicks, you can finish all what you want efficiently. Copyright ©2019 Anvsoft Inc. All Rights Reserved.